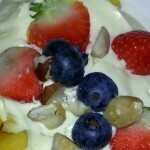 Quark is the name given to some of the simple cottage cheeses made in Germany and other parts of Europe; it provides the ideal protein levels to blend with linseed (flaxseed) oil for making the Budwig cream for the muesli on the Budwig diet. Any similar level (10-12%) protein cottage cheese will do for mixing with the cold-pressed linseed (flax) oil. Why make you own cottage cheese? 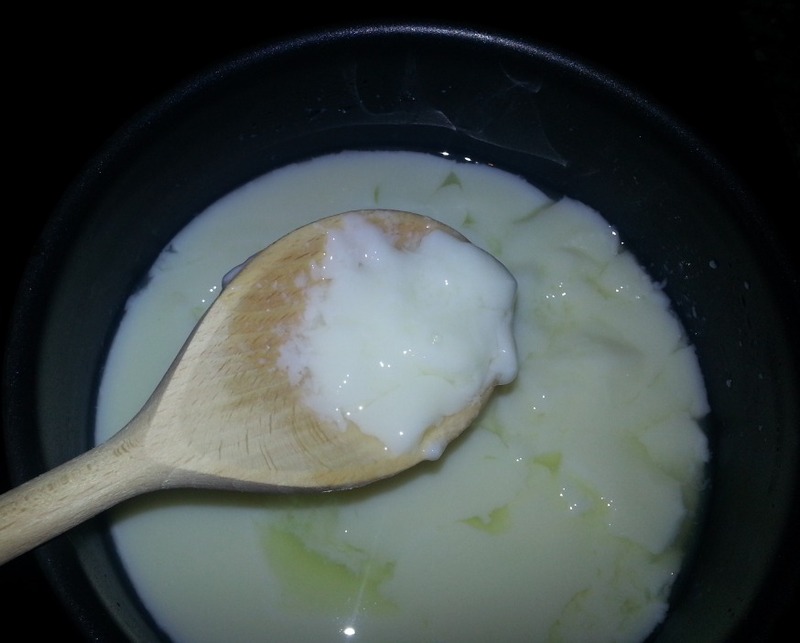 Of course you can buy cottage cheese/quark but if you want to ensure the quality of your the milk that goes into your quark your best option is to make your own cottage cheese/quark. 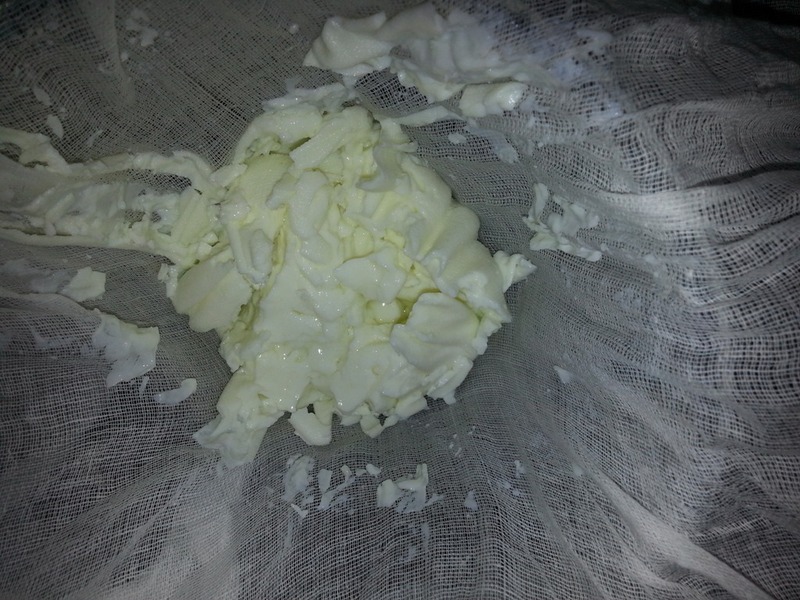 Making your own soft cheese is incredibly easy and satisfying. It gives you the option to choose what what sort of milk your quark/cottage cheese is made from – organic, raw, goat or just milk from a specific herd. Those with a compromised immune system should consider using pateurised milk or heat milk to destroy unwanted bugs before use. 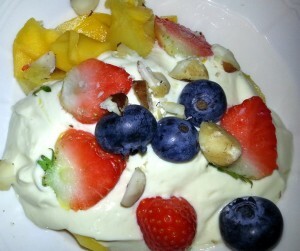 Making quark/cottage cheese, no matter how you make your curd, always follows the same basics. Try to use glass, ceramic, plastic, wood; avoid any metal. Ensure everything is very clean. 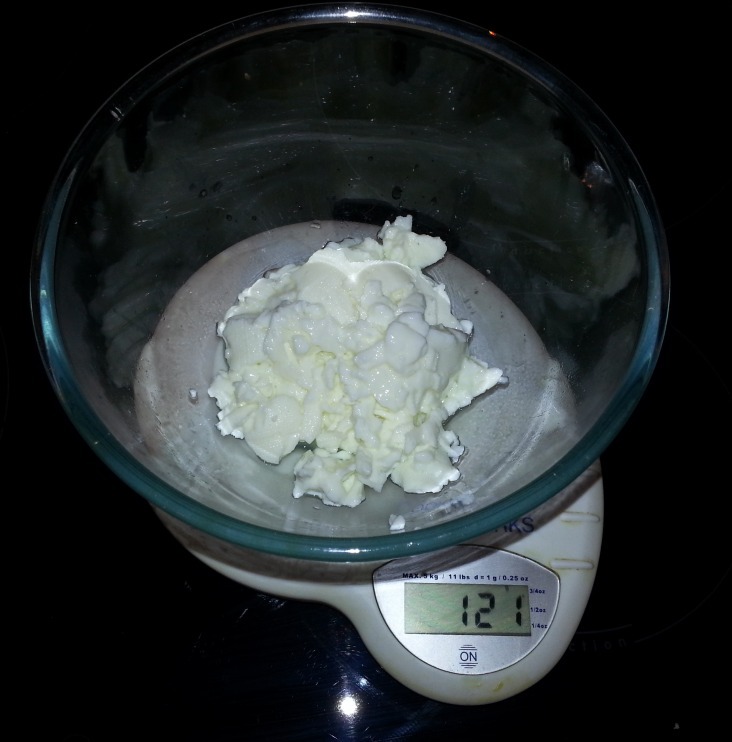 Quark or cottage cheese really is as simple as turning the protein in milk into coagulated curds so you separate it from the liquid whey portion. First you acidify the milk and it curdles. 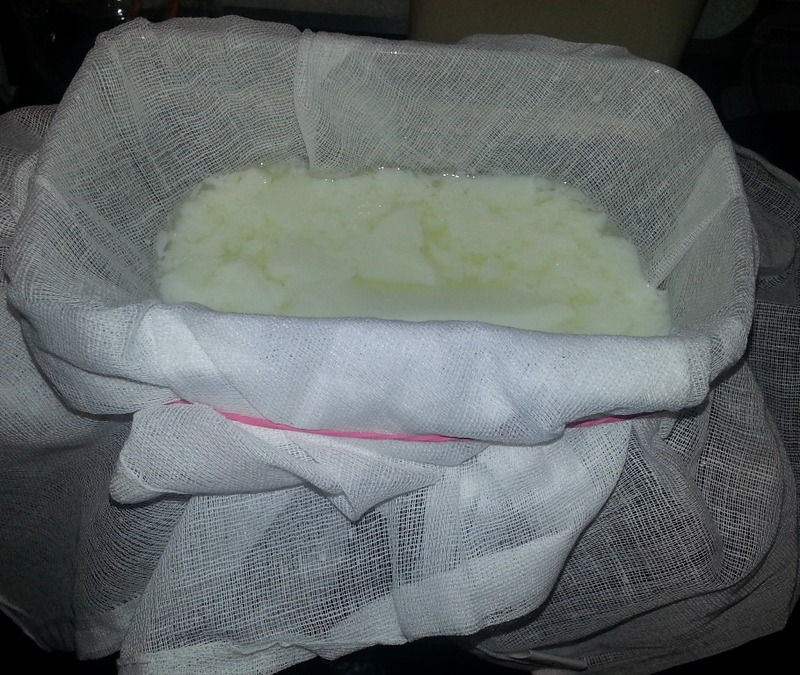 Then strain you strain it though folded muslin approximately overnight until you have a relatively dry curd. 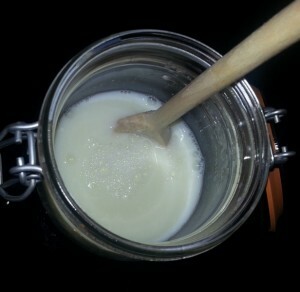 Milk “curdles” easily and there are many ways of turning milk into curd for quark. 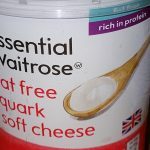 The resultant quark/cottage cheese is slightly different depending on the method used. The method you use is really just a question of personal choice and taste. Which ever route you use to curdle milk once strained you will have a simple, quark-like, soft cottage-style cheese. Simply position a sieve or colander over a clean bowl, line with fine muslin, clean cloth (muslin or cloth can be suspended over a bowl without a sieve) or reusable paper towel, pour in the curds and whey from one of the above processes. 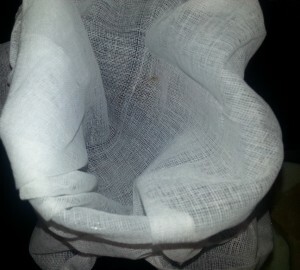 Tie ends above curds (so as to prevent whey siphoning out) and leave overnight to strain. 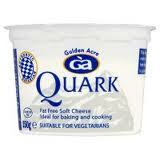 Your quark/soft cheese is now made. Fresh or pasteurised milk from cows, sheep, goats, buffalo or whatever and some agent to sour it, either added or naturally occurring bacteria-starter or some other souring agent or enzyme. Warm two pints of milk to blood temperature 37o C (no more). 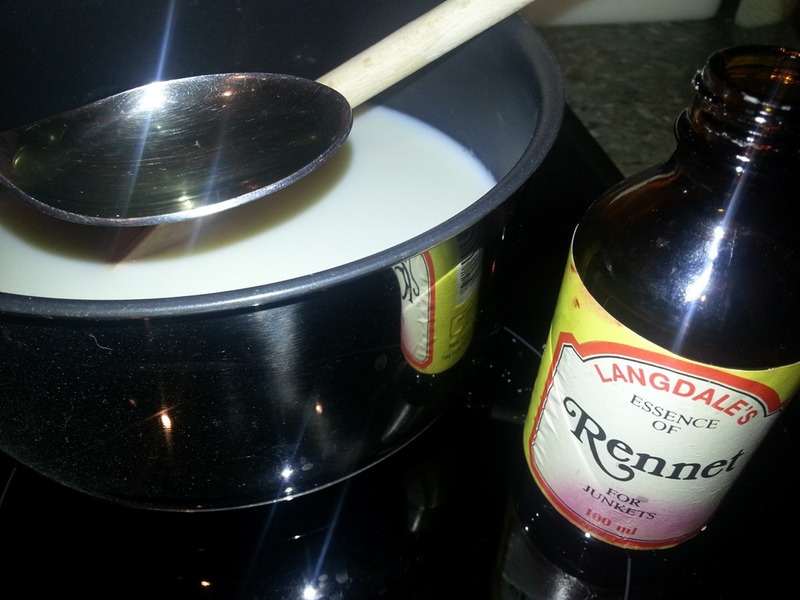 Add 2 teaspoons of rennet, stir and leave covered and undisturbed for 30 minutes, when you come back to it the milk will have thickened. Warm two pints of milk to 85 oC, add juice of one lemon, stir and leave covered and undisturbed for at least 10 minutes. 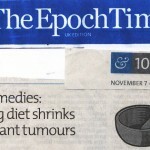 This makes a fully live, pro-biotic cheese which benefits the digestion and immune system. First make your kefir (never use metal with kefir) from kefir grains or starter culture. (Kefir starter is a combo of bacteria and good bugs which makes cheese with a lovely fresh creamy flavour). Follow the instructions for making the kefir (which is really just adding kefir culture to milk, which can be raw or not as you wish, and leaving at room temperature). 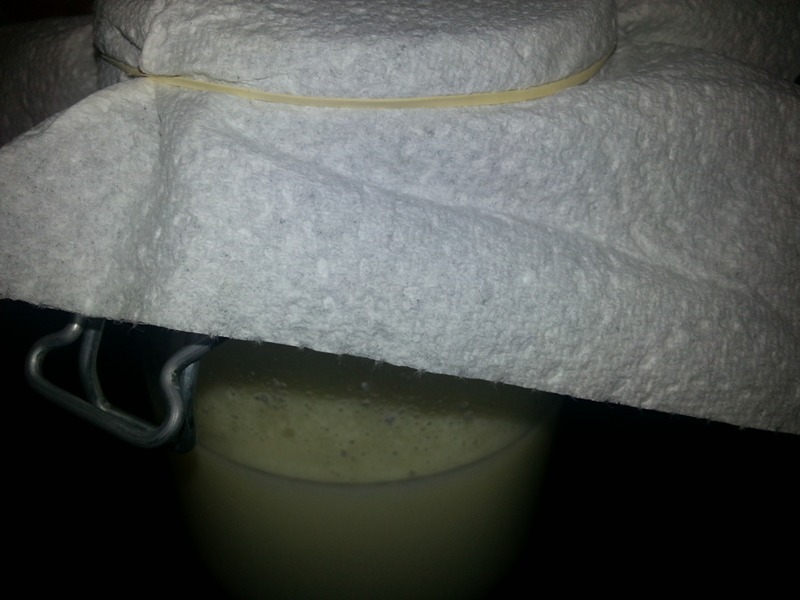 After 2 days it will have become really thick and easily strained (if using kefir grains remove before straining). The strained curd is as close as you can get to the original quark. 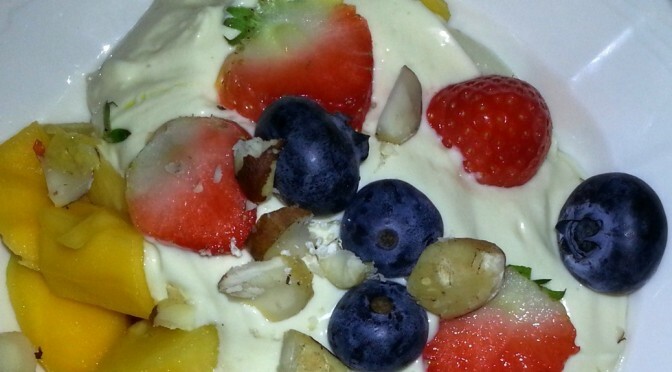 Another way to make an organic cottage cheese/quark is to use organic unflavoured yogurt. 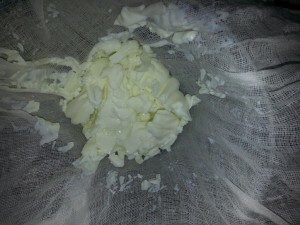 Shop- bought or home-made yoghurt can be be strained to make cheese. Left out of the fridge raw milk will sour, go “off” and the curds can be separated. However you should be aware of the health risks associated with raw milk and the “souring process” should be done at the correct temperature. Many people consider raw milk a healthy option as the proteins haven’t been damaged by heat and it is thought that the naturally-occurring bacteria can be beneficial for the digestion and immune system. After 2-3 days curds are ready to strain. The warmer it is the quicker the curds form. Some people prefer to use raw milk to make a quark-style cheese, it is available at some farmers’ markets and some farms supply online. Raw cows’ milk can only be bought direct; the Natural Food Finder site helps you track it down. Be aware of all the health arguments for and against live milk before you make the decision to use it.